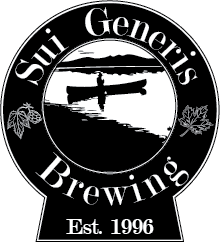 Sui Generis Brewing: Two New Videos! Months after filming I've finally completed two videos in a three-part series on collecting & purifying wild yeast. These videos are part of my "Hunting Wild Yeast" series of blog posts, and go hand-in-hand with those posts. The first video gives a quick overview of two ways to collect wild yeasts - namely, grabbing them off of fruits/veggies/plants/etc and collecting them from the air.